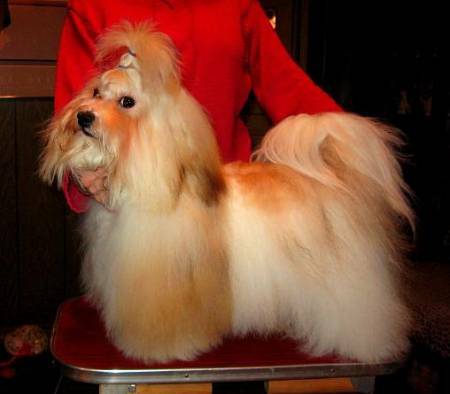 CH TAPSCOTT'S I BELIEVE IN MIRACLES ROMX - "REDDI"
"REDDI" is the son of TWO CHIC dogs and the Grandson of the First Havanese to ever win an all breed Best In Show, anywhere in the WORLD. He is also the great grandson of the Top Producing havanese of all time..How can this youngster not be outstanding. Reddi finished his championship in less than two months of showing..WAY TO GO REDDI!! !Reddy has cleared his BAER,CERF,PATELLAS, CARDIAC, HIPS & LCP, and has his CHIC# 63719.